Prospective students interested in equestrian studies will have their chance to have their questions answered during William Woods University’s annual Equine Academic Showcase Nov. 7 and 8. The showcase is an opportunity for potential equestrian science, equine administration or equine general studies major to get an in-depth look at what makes the WWU equestrian program a leader in equestrian education. Students and their families will watch WWU students in action during riding demonstrations. All four seats (saddle seat, dressage, western and hunter/jumper) will be displayed in a Parade of Disciplines. Tours of the world-class equestrian facilities will be offered, along with the chance to meet the internationally known faculty and ask questions of current students. High school juniors and seniors have the option of spending the night on campus with a student host. “Equine Academic Showcase helps highlight the program and facilities to students who are interested in the equine field,” said Mary Grace Phillips, admissions representative. “Visiting students and their families will get to see all that William Woods and the equine program have to offer them. Katie Bigge, now a graduate assistant for admissions, sits atop Balido KA at the Pinto World Championship in 2013. 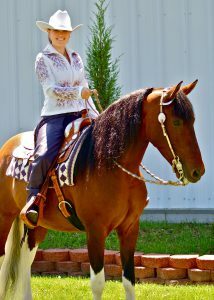 The pair won two World Championships, four Reserve World Championships, 10 top 10 awards and reserve high point Amateur Pleasure/Saddle Type Horse. “The EQS Showcase weekend is a fantastic opportunity for prospective equestrian students to get a more in-depth look into our program here at The Woods,” said Katie Bigge, graduate assistant for admissions. Friday begins with a Welcome to the Woods speech by Dr. Jahnae H. Barnett, university president. Following the speech will be lunch in the dining hall, introduction to equestrian studies, campus tours, Freshman Advantage information, ins and outs of transferring to WWU, academic breakout sessions and then meeting the overnight hosts. A parade of disciplines, barn party, progressive barn tour and open facility social will be held in the evening. Student financial services, admissions and the Logo Store will all be open on Friday. Saturday will be a breakfast in the student center, riding class demonstration, college planning presentation and student Q&A. Twin sisters Annie and Megan Graber, both WWU juniors, attended the Equine Academic Showcase when they were in high school. Annie Graber, who is an equine general studies major and equine administration minor, was on a soccer recruit trip when she attended the Equine Academic Showcase. “I chose William Woods because I wanted somewhere that I could ride and play soccer. I had the opportunity to play soccer at other schools, but I picked WWU so I could ride, too,” she said. Megan Graber, an equestrian studies major and an equine administration minor, also enjoyed the showcase. 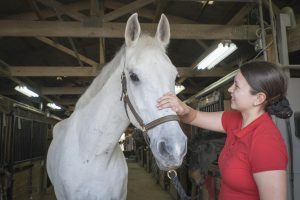 William Woods University, which offered the first four-year equestrian degree in 1972, has a reputation for providing one of the finest equestrian studies programs in the country—filling a national, regional and local demand for graduates with bachelor’s degrees. 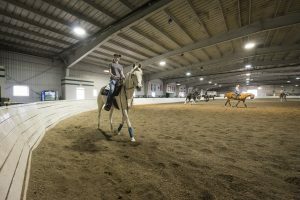 The university’s equestrian facilities encompass a city block with more than 150 large box stalls in four barns, two heated indoor arenas, a lighted outdoor ring and a 40-acre cross-country field. 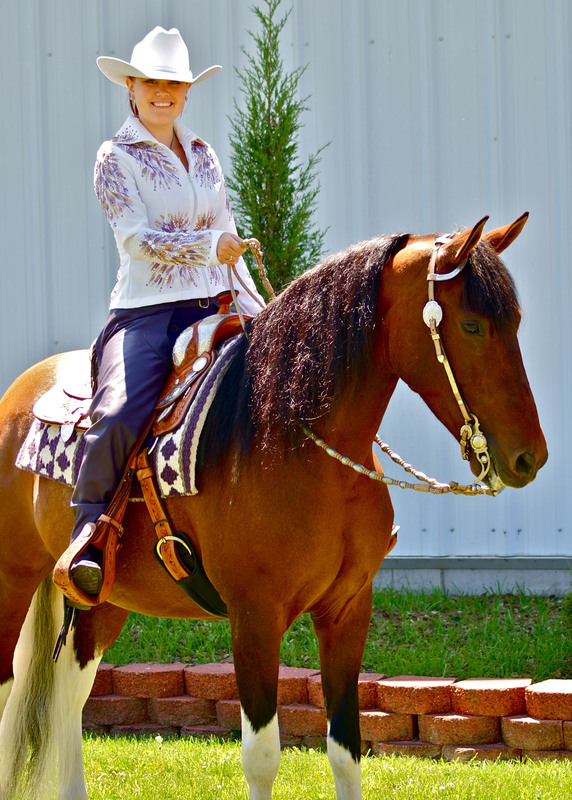 William Woods has 157 horses, with many breeds represented, including American Saddlebreds, Quarter Horses, Morgans, Thoroughbreds, Arabians, Warmbloods and Friesians. The equestrian studies program is the most popular field of study at William Woods, with 106 equestrian science majors and 26 equine administration majors. Thirty-three students are pursuing the relatively new equine general studies major, which is meant to be combined with a concentration in art, equestrian leadership, equestrian studies, equine media or therapeutic riding to give students more specialized knowledge and more career options after graduation. 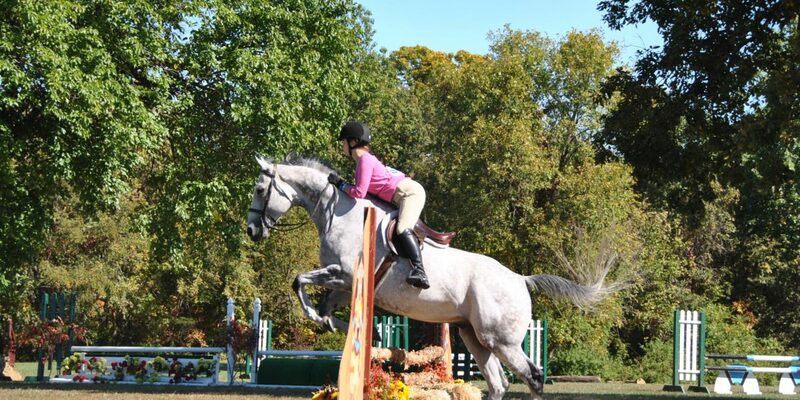 To register for the 2014 Equine Academic Showcase, call 573-592-4221 or go to williamwoods.edu/admissions/visit_campus.asp.